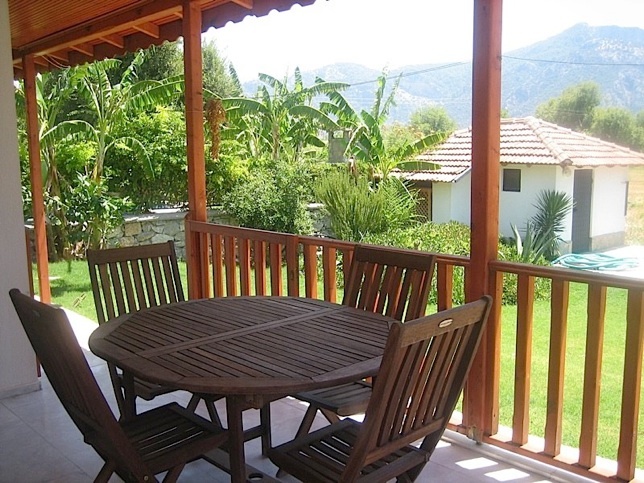 Villa Meva is a short walk from the river and the nearest restaurants. Dalyan’s oldest fish restaurant is only a 5 minute walk away. The town center, mosque, post office, bars and restaurants are o.nly a 10 minute walk away. The villa has 4 bedrooms, 2 with balconies. Downstairs is a toilet and shower room, and upstairs is a bathroom with toilet and shower. It is ideally suited for 7 people, 2 couples with 3 children. All windows and doors have mosquito nets. From the secluded roof terrace one can see the famous rock tombs and watch the pleasure boats on the Dalyan river as it snakes its way through the delta to the sea. On quiet clear nights the lights of Rhodes glitter on the horizon, and one can hear the sound of waves breaking on the sand at Iztuzu beach. The villa has a large private garden with private pool which is professionally cleaned every morning. The kitchen is fully fitted incl. microwave oven and dishwasher. Open plan living room with marble floors and a fireplace. The villa has a private pool set in a large mature garden. 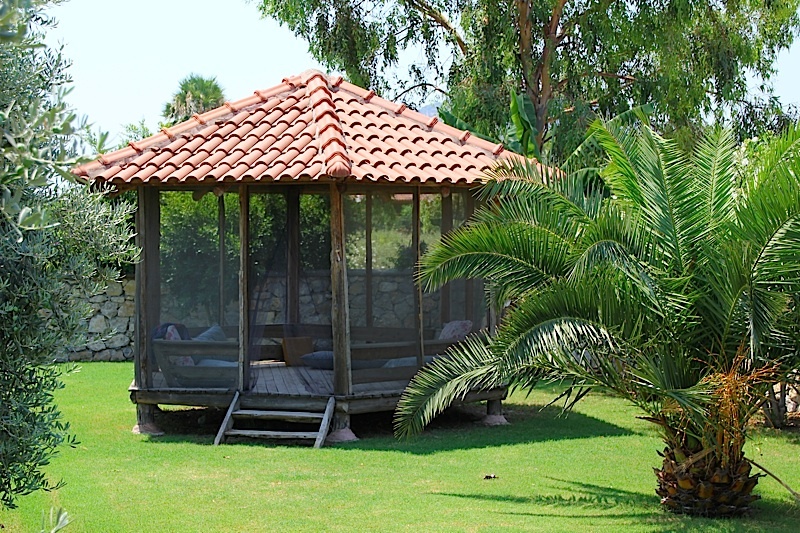 A traditional pine gazebo in the garden furnished with traditional cushion seats provides the perfect place for relaxing or reading during the hottest times of the day. With its mosquito screens and an oil lamp the gazebo is also perfect for enjoying the evening ambiance.